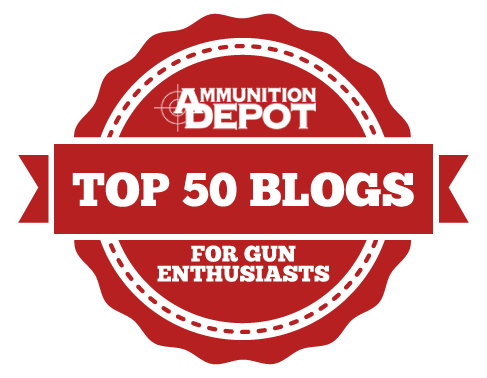 While many anguished urban dwellers have yet to come to terms with a Donald Trump presidency, GOC knows exactly what this could mean for every CCW holder in the nation. Whether you live in open carry state of Alaska or North Dakota – or a zero carry state like Illinois or California – conversations about “national reciprocity” for concealed carry will actually see the light of day. After eight years of being stiff-armed on the 2nd Amendment by President Obama, one thing is abundantly clear: Trump’s position is robust and unapologetic, which feels like a cool ocean breeze after being in a locker room of sweaty high school boys. The repudiation of Obama’s faint-of-heart administration was a long time coming. 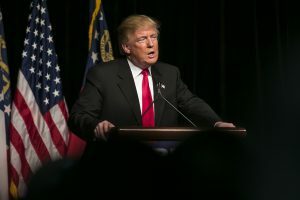 Trump’s perspective aligns completely with the congressional push by our national partner (Gun Owners of America – GOA) to make concealed carry permits from any state valid in all 50, similar to how driver’s licenses are handled. This would upend the current scenario which is confusing and unclear, because a concealed carry license from Kentucky is valid in Indiana, but not in California – or similarly, a license from Texas is valid in Idaho, but not in Oregon or Washington state. GOA is more eager than ever to move forward with HR 923, which protects “permitless” carry provisions by ensuring that a “legally carrying resident” from a permitless carry state may also carry without one while traveling elsewhere. It also supports Constitutional Carry states, so that it recognizes permits or the right of citizens from the 12 pro-gun states that have permitless carry. For those of us in California who have been dumped on by an endless river of legislative garbage, this is good news for us. The election of Trump has infused new life into an issue that has been lain dormant for far too long, and although the vast majority of California voters said “I’m With Her,” it sure feels good that as gun owners, we will reap benefits of the nation’s decision. Any federal statute (law) for nationwide “concealed carry” must be clarified to require that notwithstanding any State, county or local law to the contrary, ANY concealed carry license or permit issued by any State agency or political subdivision (i.e,. by a county government or sheriff or city police chief) SHALL be deemed valid across state lines, except when the person carrying concealed is a prohibited person under federal law (i.e., a convicted felon, under indictment or a fugitive for a pending FELONY–not a mere infraction or misdemeanor offense). Concealed carry (and open carry) locations should be governed by the firearm laws of the traveling state, NOT the CCW licensee’s issuing state; PROVIDED THAT no State, county or local government may enact or enforce any law banning the concealed carry of any lawful HANDGUN which was lawfully obtained and owned by the licensee or permit holder in his or her home state, including so-called high capacity magazines and hollow-point ammunition therefor. The open carrying of all legal long-guns should be subject to the visiting State’s laws (including Fish & Game laws), but consistent with the federal Firearm Owners Protection Act of 1986. This is necessary so CCW licensees from one State cannot be arrested and prosecuted while possessing and carrying different model HANDGUNS in interstate commerce that an anti-gun State may now or later ban from importation by its own residents, such as California’s approved list or roster of handguns. One or more of the bills now pending in Congress state that any “restrictions” on the CCW licensee in his home state shall also apply to carrying in the traveling state. This is UNWORKABLE because it would require other state and local governments to also know the gun laws and carry policies of 49 other issuing States and/or thousands of local sheriffs/police chiefs in addition to their own gun laws. 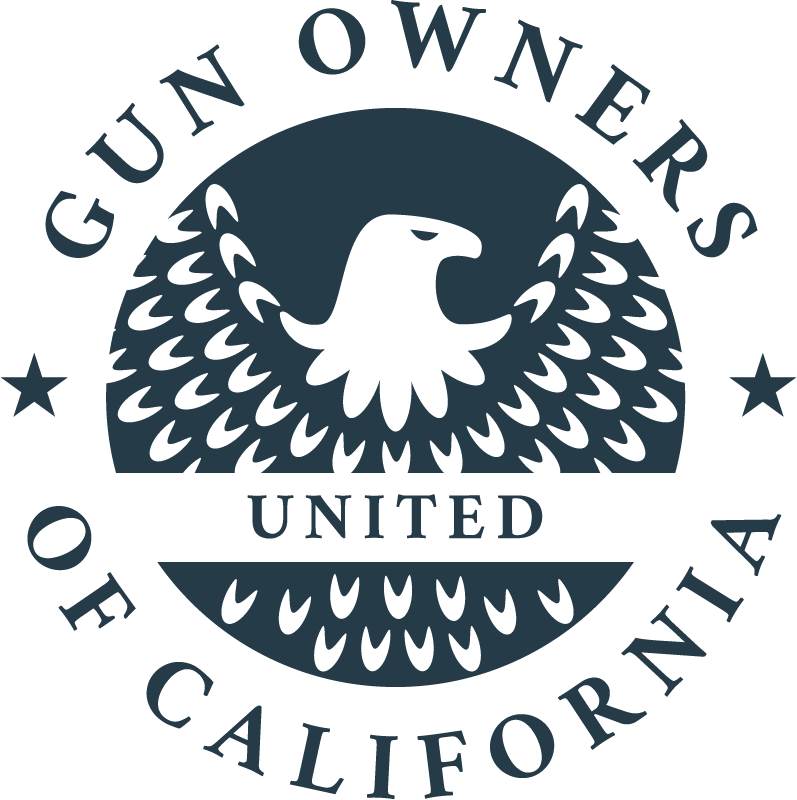 It is also unworkable because some (California) sheriffs have arbitrarily added silly restrictions that their CCW licenses are not valid in OTHER States (beyond their jurisdiction), even though “validity” should be governed by the new federal law for nationwide “concealed carry” PROVIDED THAT the CCW license or permit is not revoked or expired. Also, any nationwide “concealed carry” RECOGNITION statute might be challenged in federal courts by one or more anti-gun states under the Tenth Amendment, so it is ESSENTIAL that Congress state and include the “constitutional basis and authority” for such nationwide “concealed carry” statute in the underlying House and Senate bills, including, but not limited to, (1) the Second Amendment, (2) the 14th Amendment Privileges and Immunities Clause, (3) the Full Faith and Credit Clause, (4) the Interstate Commerce Clause, and (5) the “constitutional right to travel from state to state” under the Ninth Amendment (if that “right” resides there or elsewhere in the U.S. Constitution or federal case law). Recall that “Obamacare” was initially challenged by several States in federal courts claiming that is was “unconstitutional” under the Commerce Clause and other legal arguments; but the U.S. Supreme Court ultimately upheld “Obamacare” under the TAXING Clause of the United States Constitution to the stunning surprise of the litigating parties and media. 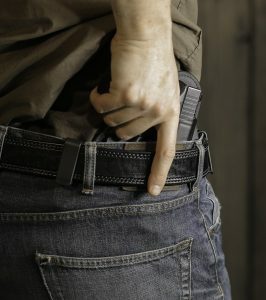 Please advise your counterparts at GOA and NRA to get on board and immediately amend any proposed nationwide “concealed carry” House and Senate bills to clarify the carry parameters, supra, and to withstand any potential legal challenges by anti-gun states such as California and New York to name a few. P.S. Please note the legal difference between CCW “reciprocity” policies and CCW “recognition” laws. The former are generally written voluntary agreements (contracts) between one or more State governments, whereas “recognition” laws are governed by written state laws stating that a State accepts ALL other State licenses or permits. Thus, nationwide “concealed carry” would be a federal “recognition” statute (NOT a contract) enacted by Congress under the authority of the United States Constitution, supra. P.P.S. It is not fair to “unfortunate residents” living in anti-gun states and/or anti-gun local jurisdictions (i.e., Los Angeles, San Francisco, D.C. and NYC) that refuse to issue concealed carry licenses/permits to “ordinary citizens” to carry in their home state, while other states would be required to honor other state licenses under a nationwide “concealed carry” RECOGNITION statute (new federal law). Also, IF the new federal law and/or someone’s home state requires them to first have a license issued from their home state, the “unfortunate residents” could not carry in their home state and anywhere in the United States. The only way to remedy this problem is to have the new federal law require that ANY “concealed carry” license or permit issued by ANY state or local government is valid anywhere in the United States (the 50 States and other federal territories and possessions). This will circumvent any anti-gun states and anti-gun local governments whom refuse to issue “concealed carry” licenses or permits to their own residents as well as non-residents. This is necessary since numerous states currently only honor their own licenses OR only honor so-called “resident” licenses issued by other states. Please advise your counterparts at GOA and NRA to act accordingly. Steve, thank you for your excellent perspective on the possible new CCW legislation we all would like to see enacted ASAP!! We Californians need a statute that emasculates our horrible anti-gun state laws! Steve gets it, the law HAS to allow any ccw permit to work in any state, regardless of what state the citizen received it from. This will allow us “unfortunate” Californian’s to have a ccw permit from another state, yet carry in our home state. P.P.P.S. Of course, unless and until a new comprehensive federal “recognition” statute for nationwide “concealed carry” is enacted, folks can still apply for multiple state CCW licenses/permits (including their home state and other non-resident state licenses) in order to invoke current “reciprocity” agreements between multiple states and cover 40+ of the 50 states. NOTE: Depending what State you “reside’ in, you will need 4 to 6 separate state CCW licenses in order to carry concealed in as many states currently possible (see separate CCW websites and their “reciprocity maps” for more details). CALIFORNIA and OREGON only honor their own CCW licenses, and California counties/cities can only legally issue to state residents and that largely depends on where one resides in that state; but OREGON sheriffs in “Lake County” and “Klamath County” will usually issue to “qualified non-residents” of bordering states per Oregon law (i.e., ONLY Washington, Idaho, Nevada and California). However, the above strategy still won’t help residents of some anti-gun states and/or anti-gun cities that refuse to issue CCW licenses to their own citizens. Also, MOST states that issue CCW licenses currently require their own citizens to obtain a home state CCW license in order to carry concealed in their home state, and these states only honor “non-resident CCW licenses” for true “non-residents” under reciprocity agreements between other “expressly specified” states. Reciprocity agreements are separate contracts between two specified states, which means any state could have several dozen reciprocity agreements posted on their State Police and/or Attorney General websites, OR in the alternative, they could have specific state laws “recognizing” non-resident CCW licenses/permits from other “specified states” or “all other states”. HAVE GUN, WILL TRAVEL; but you must know the laws of each state you’re visiting or traveling into. Even when a new federal law is enacted under the TRUMP Administration, any prior CCW “reciprocity agreements” and/or CCW “recognition laws” concerning other states will remain valid unless and until they are either repealed or otherwise rendered unnecessary by the new federal law–assuming the new federal law is both “comprehensive” and properly written in the first instance. Thus, NRA and GOA must “get the wording right” before passing it in Congress and sending to President TRUMP for his signature. Please write and call NRA and GOA and also request (insist) that your U.S. Representative and U.S. Senators support the “final” NRA/GOA endorsed House and Senate bills to enact nationwide CCW “recognition” within the “FIRST 100 DAYS” of the new TRUMP Administration. However, the current pending bills need some clarification, supra. It will only take the President 30 minutes to sign the new federal legislation into law, including any photo ops with the NRA and GOA, et al. Then WE THE PEOPLE will win, and the liberal media and gun grabbers’ blood will boil. 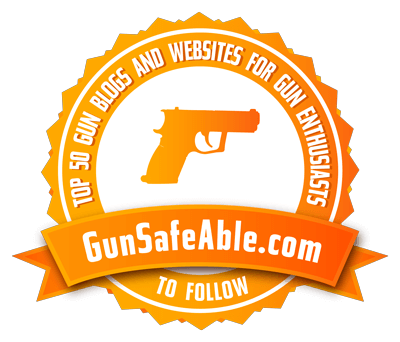 Your friends in the U.S.CONGRESS need to introduce a new (updated) legislation entitled: “The National Concealed Handgun Carry Act of 2017”, and include more detailed constitutional authority and other comprehensive provisions as stated hereabove. The various proposed CCW bills posted at the NRA.org website erroneously say national “reciprocity” when it ‘s nationwide “recognition” is what we really need. The current NRA supported bills are also flawed and leave arguments for States to make about the “lack of any training whatsoever” or a federal “minimum training course” such as the basic NRA-approved handgun qualification course. (Better for NRA, GOA/GOC, et al. to specify and codify a standard “minimum training course” in federal law so Congress can require States to accept it as ample training for nationwide recognition; if States want to require additional training requirements for their own state licenses, so be it). Once again, some States require their “own residents” to have a “resident license” and/or refuse to issue concealed carry licenses to their own residents; thus they can never carry concealed in their home state UNLESS Congress can legally trump and compel such States to accept ANY license issued by any other state–EVEN FOR residents of anti-gun States (or anti-gun local governments) that refuse to issue to their own residents despite having arbitrary “may issue” CCW statutes on their books. Some (California) county sheriffs/police chiefs unnecessarily restrict or stamp “Not valid outside (California)” on their concealed carry licenses, thus potentially rendering them invalid in other States that would otherwise accept out-of-state licenses. State or local issuing agencies have no authority to restrict anything outside their respective jurisdictions. Thus, such improper out-of-state “restrictions” are beyond their jurisdiction and MUST (by law) be removed by the issuing agency and/or otherwise be “trumped” by the new federal recognition law, supra (pun intended). Please advise your gun rights counterparts to act accordingly, as soon as possible, so a final “unified” concealed handgun carry recognition bill backed by GOA/NRA/SAF can be ready for President Trump to sign in his FIRST 100 DAYS next year. Success will be easier for us and President Trump IF the major gun rights organizations can back a unified bill in both houses of Congress. P.S. Finally, another issue to be addressed and resolved by the new federal legislation is the “minimum age” (18 or 21?) for a CCW license to be recognized by other States, since few jurisdictions issue licenses to anyone under 21. Your friends in the U.S.CONGRESS need to introduce new (updated) legislation entitled: “National Concealed Handgun Carry Recognition Act of 2017”, and include more detailed constitutional authority and other comprehensive provisions as stated hereabove. There is currently a new bill introduced in Congress known as the “Concealed Carry Reciprocity Act of 2017”. However, it is misnamed because the term “reciprocity” is based upon a voluntary agreement (contract) between one or more States, whereas “recognition” (see further above) is based upon statutory law (the force of law itself, not a agreement or contract that can be rescinded by a party State). Please advise your comrades at GOA and NRA, et al. The individual right to “keep” (possess) and “bear” (carry) loaded [fire]arms in both private and public places should be [or is] a FEDERAL Constitutionally-protected “right” (NOT a mere privilege), and is fully applicable to the States, as incorporated by the 14th Amendment per the most recent U.S. Supreme Court case law (despite any other separate reasons or arguments concerning the constitutionality or necessity for “licensing concealed carry”). Combined with the constitutional “right to travel” freely from State to State, such Second Amendment “right” (including the right to self-defense) should NOT end at the state border of your home State!! Thus, the Second Amendment SHOULD “trump” the Tenth Amendment right of the 50 States’ (their “States’ rights”) for purposes of possessing and carrying loaded firearms from State to State, leaving to the “police powers” of the States’ (state laws) WHERE “concealed carry” is legal (i.e., excluding legislative buildings, jails/prisons, courthouses, police stations, and other sensitive government or public buildings as articulated by the U.S. Supreme Court). If “private property owners” post NO FIREARMS ALLOWED, then gun owners can boycott them OR otherwise patronize other “gun friendly” business establishments. However, if “private property owners” open their private property to the general public (i.e., malls, grocery stores, hotels, etc. ), then State Legislatures can and should be able to treat and authorize concealed carry in those “public places” or “public accommodations” despite the posting of NO FIREARMS ALLOWED signs. You can get a Florida or Utah non-resident permit through the mail. Then, you should be covered if national reciprocity becomes law. California is not a zero carry state. Every county in California issues CCW permits, except many California counties are extremely restrictive on issuance. Politically connected people or friends of the county sheriff or retired law enforcement officers are most likely to be granted a CCW permit in CA. However, there are several California counties where CCW permits are not as difficult to get — mostly northern rural counties. I do believe that there would be a meltdown in CA politics if national CCW reciprocity federal legislation were to become law. California would be looking for every angle to opt out. Hi All, Now that Trump has entered office (Yes)… does anyone know exactly where we stand in terms of CCW in California? Things seem to be getting worse in this state, and I’m curious where we’re at when it comes to being able to carry here. I live in San Bernardino County which might be easier than L.A. County… but I’m still not clear. Maybe someone can point me in the right direction? Talk about the right to bear arms being infringed. It doesn’t exist in N.Y.C. Wanting a CCW for self defense doesn’t qualify. What the hell !!! I don’t see how a constitutional right gets withheld from a law-abiding citizen because he happens to reside in a certain state or city. The right to keep AND BEAR arms belongs to ALL law abiding U.S. citizens. Seems pretty freaking straight forward to me. M really grateful to you.Amazing post.